We, at CBD Glass are committed to creating the most beautiful glass designs to match your vision. When it comes to bath products, CBD Glass is the best place you can go to for all your needs. 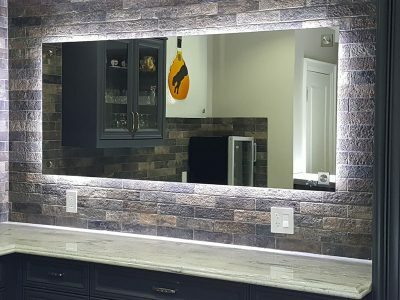 We offer glass bathroom countertops, glass integrated sinks, vessels, wall mount sinks -which include our one-of-a-kind waterfall sink, pedestal sinks, vanities, and mirrors. 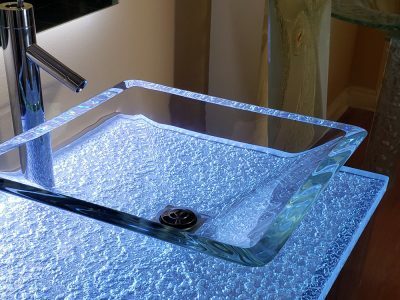 When it comes to choosing your sink, there are a lot of great options. 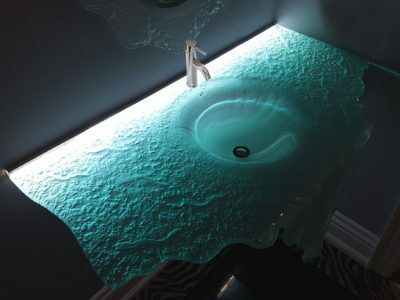 Besides looking at the style of the sink that you like, you might want to look at practicality as well. 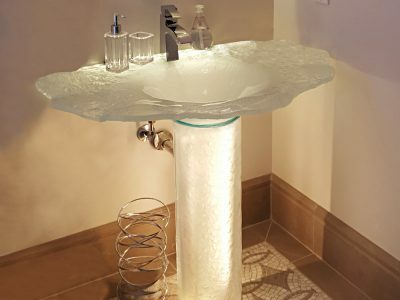 For example, our integrated sinks are great for smaller bathrooms, our integrated sinks are easy to clean, etc. For more information on each project, please take a look at each page individually. We are committed to creating the most beautiful glass designs to match your vision. We look forward to your inquiries about our wide range of design concepts, textures and colors and working with you on your project.